Disclaimer: I don't know Jim Walmsley. I have never spoken with him. Below are my own thoughts and feelings about what transpired on Saturday at Western States. "Sometimes when you're not careful trying to set off fireworks you light yourself on fire." Unless you've been living under a rock, you've heard the news of what went down this past weekend at the Western States 100-Mile Endurance Run. The odds-on-favorite, Jim Walmsley dropped out of "the Big Dance" at the American River after what can only be described as a very aggressive first 60-something miles. A year ago, he missed a turn some 90 miles into the race, when he was on course record pace, and lost the lead. Jim's DNF per se isn't why I'm writing this post. And, honestly, not even his fairly uncomfortable pre-race interview with iRunFar, in which he may or may not have had a few too many drinks and said things he shouldn't have said, is why I'm writing this blog. But let me just say for the record that the iRunFar interview was bad! The reason I'm writing this blog is the reaction to Jim's failure on Saturday...which I find troubling upon some reflection. On the one hand, there are those applauding his "guts," "aggressiveness" and "balls." I get that--what he did was ballsy and probably a bit stupid given the precarious trail conditions in the high country and the very warm conditions throughout. On the other hand, there are those pouncing on his failure, kicking him while he's down as he really put his foot in his mouth in that iRunFar interview and, as the story goes, got his just deserts on Saturday when he was denied a win and a finish as a result of arrogantly going out too hard. His DNF was karma, some say. Both sides have some merit to their arguments. But I would submit that Jim is probably living with some regret right now. This is not a bad guy. Despite that iRunFar interview, this is not a guy who lives to put down and disrespect his competition and run recklessly. I think this is a guy who is 27 years-old, a world-class athlete, and a big believer in his own amazing abilities. He over-committed himself early on in Saturday's race and paid the price for it in a race that really doesn't start until after Foresthill (mile 62), when he found himself out of gas. Just to get right to the point: To some, Jim is the quintessential millennial. Which I think is unfair. Jim made a mistake, paid for it and is probably now learning from it the hard way. Rather than kick the guy while he's down, we should recognize what he did on Saturday for what it was: a very public learning experience. If there is one thing I've gleaned from more than a few years in this sport, it's that world-class athletes don't think like those of us with regular or even above-average abilities do. They are world-class athletes in part because they have a huge mental edge, and not just physical talents. It might be hard for us regular folks to understand that edge--it may come off in the wrong way sometimes. Jim's mental edge, which usually serves him well, probably got the better of him Saturday, leading him on a fatally flawed strategy when the best plan would have been what he himself was probably incapable of doing at the time: starting off conservatively, adjusting to the course conditions and weather, and letting the win--and not course record--come to him. I don't know Jim but when I see things like this, I can't help but think he's a good guy who probably had a few too many drinks before his iRunFar interview and started howling at the moon when the cameras were on. He had a bad moment and things came unraveled on Saturday when all eyes were on him. Simply put, he erred in some critical areas and has paid for it with a high-profile DNF. 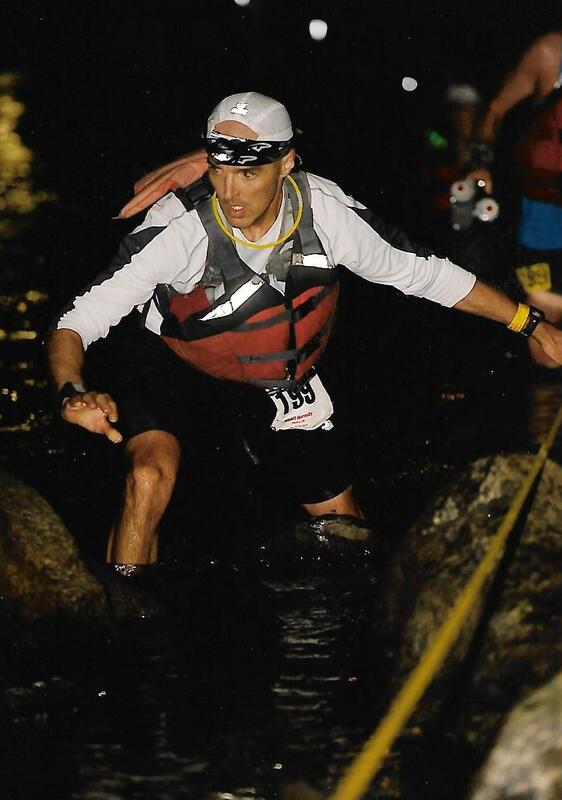 Jim Walmsley is one of the most talented ultrarunners this sport has ever seen. He puts in the work and trains super hard. He races all-in (sometimes too all-in), just as Steve Prefontaine did (I do not use that comparison lightly). He is very aggressive and confident in his own abilities. Sometimes he takes it a bit too far, as he did in his iRunFar interview and race. But, as someone who sincerely enjoys this sport and watching new talent come in and take the greatest races by storm, and as someone who has also made some mistakes on the trail over the years, my sincere hope is that Jim learns from this experience, grows from it, reaches out to a few folks who he may have dissed, and comes back next year and gets the win that he has been chasing for a few years. I hope he learns some humility and will get that win next year the old-fashioned way--with his head down and doing what needs to get done from Squaw to Auburn. I hope he gets it right after getting it wrong two years in a row. Because, as Andy Jones-Wilkins observed, that's what Western States is all about. It's about finally getting it right when maybe you have gotten it wrong. 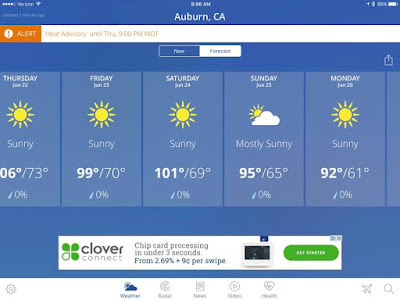 101 degrees is no joke--and neither is a low of 69! That would tie for the third hottest WSER on record. I have written at length about how my race last year fell apart in the canyons. I am still amazed that I somehow finished that sucker. If you are lucky enough to be running States, this weekend you will get lots of advice. I know I did last year. 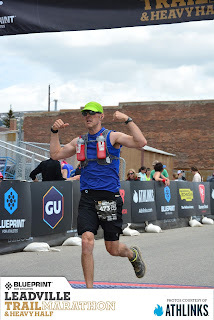 Overall, I took the advice except for one nugget of wisdom that, looking back on it, might well could have been the difference between my 26-hour-and-change finish and a sub-24, which I was fully capable of achieving. When you reach the bottom of the insanely hot Deadwood Canyon and are greeted by a raging river, do yourself a favor and get in it. Last year, when I reached the bottom of the canyon (mile 45 or so), I thought to myself, "I'm not that hot. I did plenty of heat training and am good to go. Skip the river and onward!" Huge mistake. No sooner than a few hundred feet up the nasty climb to Devil's Thumb (and it is very nasty), I was melting from the heat. By the time I reached Devil's Thumb, I was was overheated, leading to major stomach distress at the aid station that ultimately plagued me through Foresthill (and then after that the damage was done). Had I taken the good advice I'd gotten and soaked for a few minutes in the river at the bottom of the canyon, I would have gone into the climb up to Devil's Thumb much cooler and my stomach might have held together. But I didn't and I paid for it...and I believe it was the single biggest mistake I made--a mistake that cost me hours and hours. So, on Saturday, when you reach the bottom of ridiculously hot Deadwood Canyon and are looking at the wall of a climb in front of you, take stock for a second. The 2-3 minutes you spend in the river might actually save you hours in the long run. Get in the river. Soak for a short bit. Get your head, neck, wrists and entire body in that cold water. You will be glad you did it. Enjoy the race and get it done! It's an amazing experience. Who's Going to Win Western States? The "Big Dance" is only five days away and the pre-race hype has hit a fever pitch! It could be a "fire and ice" year at the Western States 100-Mile Endurance Run. As has been reported, there's still a lot of snow up in the high country and, as of last night, the forecast for Auburn on Saturday is a balmy 98 degrees. Fire and ice! When I ran WSER last year, there was basically no snow up in the high country and we were able to cross the American River by our own power. Probably not the case this year! I mostly agree with AJW's picks for the guys and gals, which is to say I like Jim Walmsley as the top male and Kaci Lickteig as the top female. Those two seem to be the consensus picks. As Meghan Hicks from iRunFar correctly pointed out, the only person who can beat Jim Walmsley is...Jim Walmsley. I think, on Saturday, Walmsley takes the lead and never relinquishes it, running at the front the whole time but certainly feeling the pressure from a stacked field behind him. He finishes/wins with a time of about 14:55. On the women's side, I just think Lickteig operates on another level (similar to Walmsley), though certainly Magdalena Boulet (former Olympian and 2015 Western States champ) and Stephanie Howe (2014 champ) are no slouches and will be ready to pounce if Lickteig falters (which I doubt will happen). Lickteig weighs maybe 100 pounds soaking wet but, like Ann Trason, is a full-on badass. So there you have it: Walmsley and Lickteig both win. But I am going to say that neither sets the course record for their respective genders. For whatever it's worth, my training is progressing nicely. My right knee is better than 90% (knock on wood) and my left knee is about 80%. My left knee starting barking at me likely because it was compensating for the right knee. But both are on the mend and, fortunately, there's always KT Tape if I need a little extra support. But, overall, the body is holding up very nicely and I'm liking where things are with the Leadville Trail 100-Mile Run now about two months away. I'm getting in some good training and have prioritized legit trails on days that I can get to the foothills and/or mountains. That said, it is clear to me that, with age, I'm slowing down, especially on the trail. But yet I have never felt stronger. While I have clearly lost a step, the raw endurance is there more than ever. I can go a looooooooooooong way. It would be interesting to run another 24-hour race and see if I could go north of 135 miles. I feel the maturity is there to crank out 135+ over 24 hours. Maybe next year? 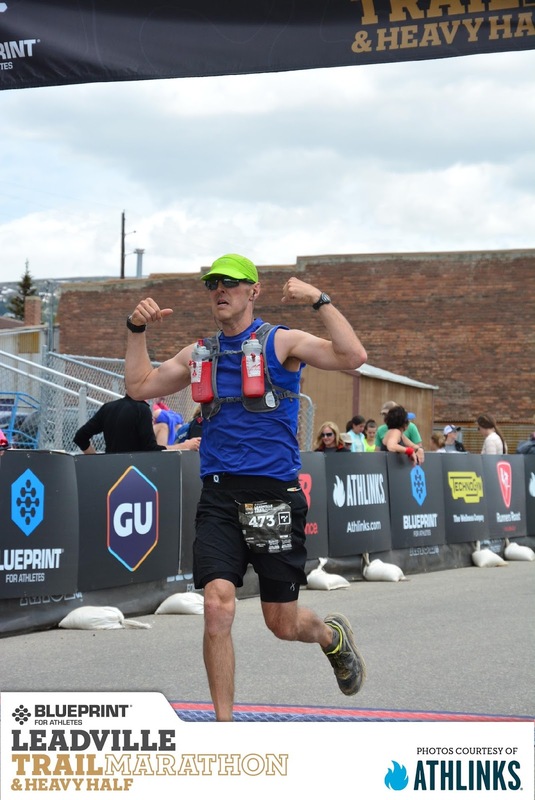 Last month, I lined up for the Colfax Marathon, a road race in and around downtown Denver, with a back-of-mind goal of qualifying for the 2018 Boston Marathon. Though I did snag that BQ time, it was by no means easy! 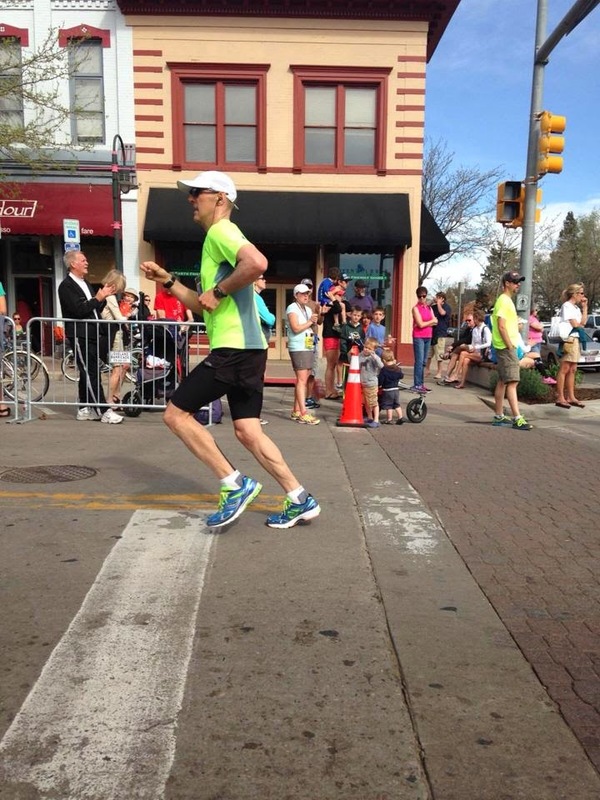 With a fair number of hills and the "mile high effect" in full force for all 26.2 miles, this race is no joke. At mile 10, I was feeling it but somehow hung on and came in with a just-okay time of 3:13, good for a BQ but probably just short of the threshold for being able to gain entry into the actual race due to what will surely be high demand. We'll see how it goes. If I don't get into Boston, I will not shed a tear for I'll have a winter of skiing in the Rocky Mountains to look forward to. But it would be nice to go back one of these days. 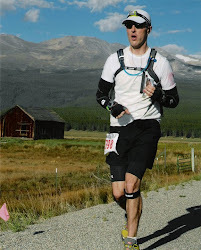 Then this past weekend I lined up for my sixth Leadville Trail Marathon. This year, due to very heavy late spring snow in the high country, we ran the snow route, which misses Ball Mountain but still takes you up Mosquito Pass, which tops out at 13,185 feet. Given that I had put a decent effort into the Colfax Marathon, my goal for the Leadville Trail Marathon was simply a strong training run up high. And that's what I got from it. Despite absolutely brutal 50+ mile per hour headwinds at the top of Mosquito Pass and some stomach discomfort around mile 22 (nothing ever came of it--just some discomfort), I crossed the finish line feeling good. The snow course throws at you a mind-blowing 12,600 feet of combined elevation change, all between 10,200 feet and 13,185 feet, over the 26.2 miles. I must have run it at a smart, conservative pace because I felt great the next day and feel good again today. No post-race issues at all. My next event is the Chase the Moon 12-Hour on July 7. Again, the goal is a strong training run. I had originally signed up for CTM with a goal of 50 miles but we'll see how that goes. If I can get in 40 strong miles and walk away feeling good, that's OK, too. But 50 miles would be optimal. Best of luck to all toeing the line at Squaw Valley Ski Resort this weekend. If you have made it this far, you have guts and determination to the max. If you cross that finish line, you will cross it as a champion and will never look at life the same. It's the most magical ultrarunning experience I've ever had. Now it's your turn: Who ya got for Western States--top male, top female and the podiums for each?